The Alabama Folk School at Camp McDowell was founded in 2007. Our mission is to provide an opportunity at Camp McDowell to be inspired and renewed in a supportive community while learning from and experiencing master artists, artisans and musicians. The setting for the Alabama Folk School is Camp McDowell, which is the official camp and conference center for the Episcopal Diocese of Alabama. Situated on over 1,100 acres of lush forest and fields, Camp McDowell has breath-taking scenery that includes waterfalls and canyons. We offer workshops of varying lengths, from 2 to 4 days with sessions ranging from 12 hours for a weekend workshop to 15 hours for a 3-day workshop and 21 hours for a 4-day workshop. Our small class size allows students to fully engage with their instructor in a meaningful way. During your visit at the Alabama Folk School, you will stay in comfortable, air-conditioned, hotel-style lodges and enjoy 3 delicious meals a day. 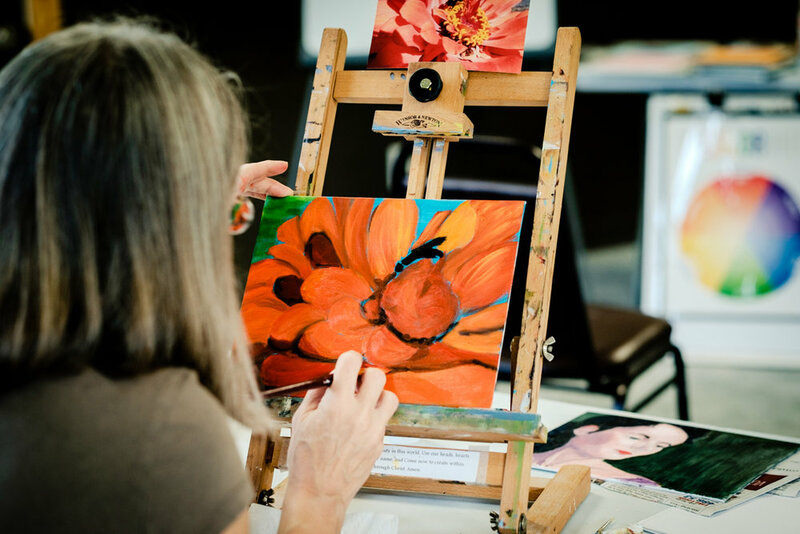 You will be kept busy with the classes of your choice, but there will still be plenty of time to explore the beautiful surroundings and interact with the artistic communities that develop during each workshop. Truly enjoyed the instruction and hospitality at this first-rate folk school.